ISIS Bride Hoda Muthana Says She'll Have 'No Problem' Returning to U.S. This undated image provided by attorney Hassan Shibly shows Hoda Muthana, an Alabama woman who left home to join ISIS after becoming radicalized online. 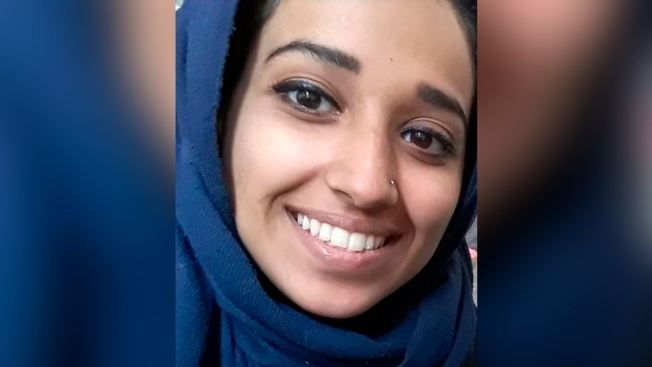 An American-born ISIS bride told NBC News on Friday that she anticipates "no problem" in returning to the U.S. despite the Trump administration's insistence that she won't be allowed into the country. Hoda Muthana, 24, left the U.S. to join the Islamic State in Syria in 2014. She is now staying in a refugee camp with her 18-month-old son after fleeing the remnants of the caliphate. Secretary of State Mike Pompeo told NBC's "Today" on Thursday that Muthana is not a citizen and will not be admitted to the country. Muthana, who was born in New Jersey and lived in Alabama, and her family are now suing the Trump administration in an effort to allow her to return.